Be the least stressed out party host in the world. We feel your pain. We know it’s exhausting. We know that the venue landscape is littered with unanswered calls, venues that don’t have your date, over-priced unkempt halls and places that look and smell like the 80’s. We love our clients. We care about each, and every event and each, and every, event party host. We’re the most popular venue in Albuquerque because we know what you really want… an awesome event at a price that’s fair… with the least amount of stress possible. And we will make that happen for you starting right now! Are you planning the celebration of a lifetime: a wedding, quinceanera, sweet sixteen, graduation, birthday or anniversary party in Albuquerque? Do you want an amazing party surrounded by your family and your loving friends that they’ll remember forever? Are you concerned about how to have your dream event on a budget…without sacrificing elegance and the fun of the celebration? At ABQ Party Space, your wish is our command — an extraordinary event your entire family will remember forever –with a price tag you can afford. Contact us today to plan an extraordinary celebration for your budget. The laughter. The dancing. The memories. The celebration. Tell us what you want. We’ll get you the perfect space and our service company will bend over backwards to create an event you and your family will never forget. “I literally can’t say enough good things about these folks! The price and service just can’t be beat! Their help was incredible and made the party go by that much more smoothly. 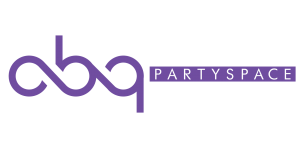 Seriously, this place is awesome — If you’re looking for a reasonably priced party space, ABQ party space is the place you should be looking at!” – Marilyn A. Spacious Accommodations and Onsite Parking: Our elegant ballrooms accommodate up to 260 guests. Bring your own food or let our service company do all the hard work and cater it for you! Our open or cash bar options fit every budget. The Best Value In Town: Book our fully appointed banquet rooms at prices ranging from $799 to $999 on Friday evenings and $1,199 to $1,799 on Saturday nights. Anything and Everything You Need for an Amazing Event: And our service company packages include food, entertainment, linens, bar, photographer, doorman and more. You’ll also have access to our trusted network of professionals. If we don’t have it, we’ll find it for you! We make throwing an extraordinary event simple, easy and fun! Take advantage of our affordable, creative pricing — you deserve the event of your dreams. Contact us today for a free price quote. Prices to rent either of our beautifully appointed banquet rooms range from $799 to $999 on Friday evenings and $1,199 to $1,799 on Saturday nights. All parties come with 1 hour and 45 minutes FREE decoratin/setup time included. later and end by 1 am. event and $200 for a 4 hour event. You may bring your own beer, wine or mixed drinks. No one without a valid ID may be served.